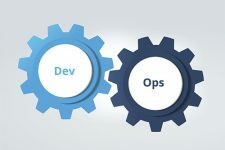 In my previous post, I talked about what devops is and the need for devops tools around Tomcat. In this post, I want to go in depth around collaboration between devs and ops and how it applies to Tcat Server. A view of what a Deployer sees inside the console. The way that Tcat tries to solve this problem is through it’s centralized management console. From here you can monitor and manage all your servers. Of course, you don’t want to give everyone access to everything, so we’ve added the ability to lock down the console at a high level of granularity. Administrators: these users have access to do everything inside the console. Deployers: these users can only view deployments, deploy, undeploy and redeploy them. Monitors: these users can view all the data inside Tcat, but they are not allowed to modify anything. 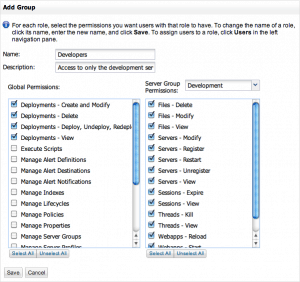 Adding a user group which gives access to development servers. You can see that on the left hand side you can grant permissions to do things like deploy applications. 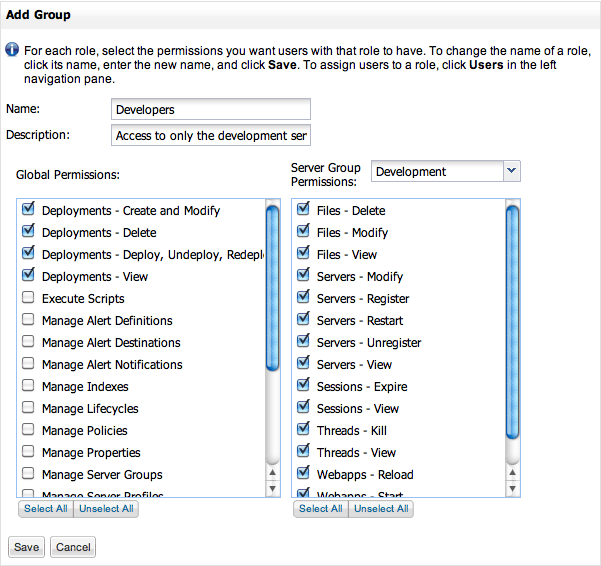 Then, with the right hand column you can grant permissions to specific server groups. In this case, I’ve granted all permissions to the Development group, but no permissions to any other group. This means that anyone in the Developer group can log in and monitor or manage any of the Development servers, but they can’t monitor or manage any other servers, like the ones in the production group. I hope this allows you to see how you can easily collaborate on server management using Tcat Server. In my next post I’ll talk about how you can increase your agility through continuous deployment!